I’m trying to create technical illustration using IsoDraw 7.1. The delivery profile is specific. 2.3. This profile is based upon WebCGM 2. 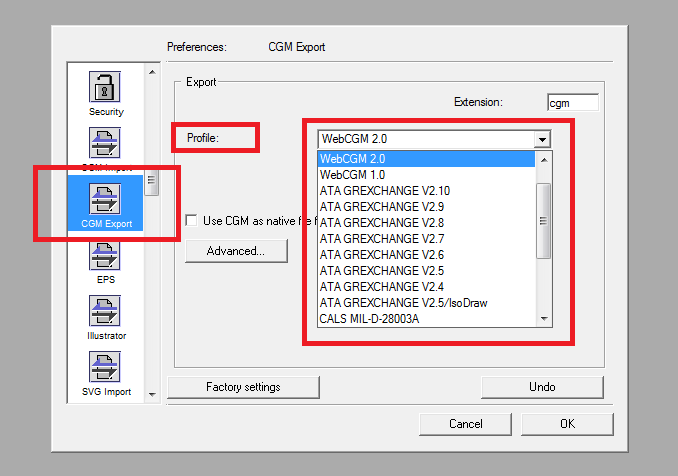 Is it possible to setup the preferences so that all of the CGM exports and compliant with this profile? Thank you for that information. How do I make sure the S1000D 2.3 is selected before export? Two approaches. Both have their drawbacks. 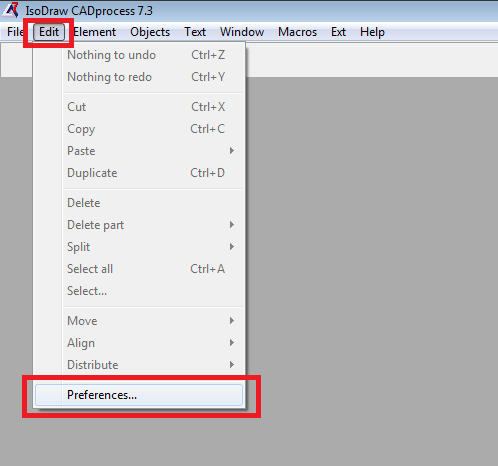 1) Change the preference file. The two flaws with this is that you would then need to push the preference file to each machine that will need to do this (#2 has same concern). The second is that a user, if playing around with preferences, could override this. 2) Make a macro for the export. In our case we need various export formats and I've learned that it's best to train our people to use a single macro versus manually exporting. The setting of the export specifics can then be handled in the macro immediately before the export (also done by the macro). Main flaw here is that, like the preferences, you need to push it out to the users. Second item is that you need to also have your users break the habit of manually saving and to instead trust your macro (I got luck as I put this in place very shortly after starting IsoDraw).